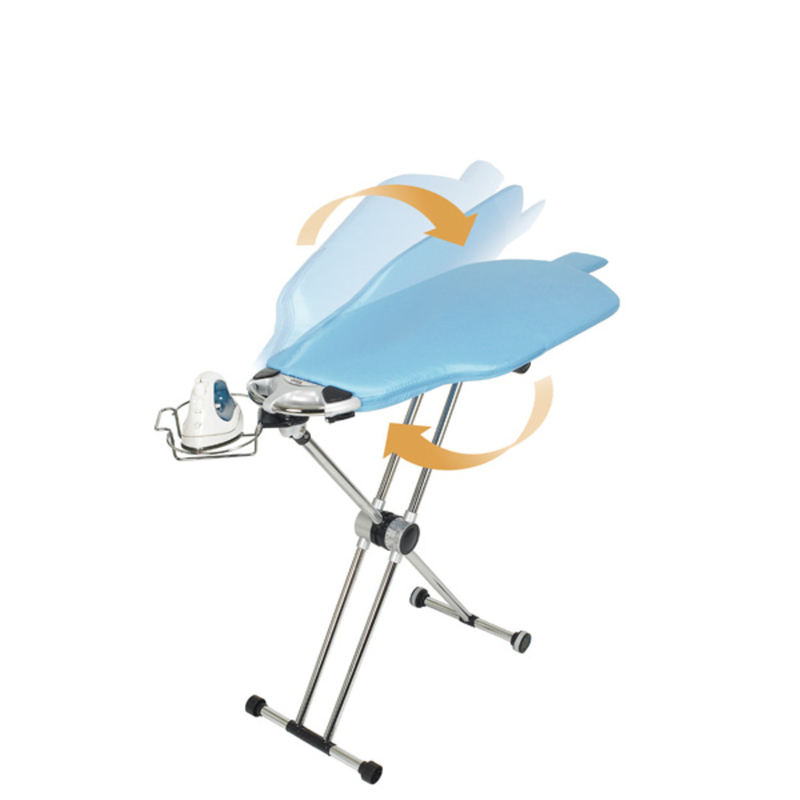 The Dazzl 360 ironing board actually has several features that are designed to simplify the task of ironing. However, the most interesting and outstanding feature is no doubt its rotating board feature. So instead of ironing one side of a shirt of blouse and then flipping the garment over to iron the other side, the Dazzl 360 lets you rotate the entire board itself. Just lift up the board on the wider end, turn the board over and you can now shave half a minute or more off your ironing time per shirt or blouse. 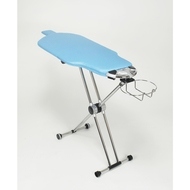 This revolutionary ironing board can be used by both right and left handers. A rotating basket at the end keeps your iron safely and prevents it from falling out even if you move the board around. Last but not least, if you are tired of standing while ironing, you can always adjust the Dazzl 360 ironing board’s height and just sit on a chair or even on the floor as you iron. It has 8 different height adjustments.